Livermore short sale property inventory will likely continue to remain steady and possibly increase over the next couple years as the housing market tries to recover from it’s downslide. That that means for Livermore short sale home buyers is opportunity for a great deal, if you are willing to wait out the time it takes to get the short sale approved. At East Bay Short Sale Group, we help homeowners who are underwater sell their home as a short sale, and also help buyers purchase short sale homes for sale in the Livermore area. There are currently 62 active short sale listings on the market in Livermore, ranging from 1-382 days on the market. The list price range of these homes is from $68,000-$1,900,000. If you are looking for a home to purchase, whether to live in or for investment, please contact us to find out more about these current available listings. There are currently 154 pending short sale listings on the market in Livermore, ranging in list price from $65,000-$4,250,000. Since these homes have likely not yet received lender short sale approval, the value at what theses homes will close at is usually not known until the lender approval is received. 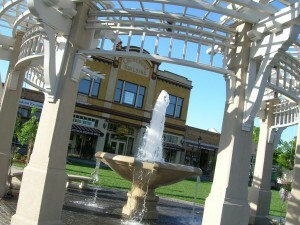 There have been 242 properties sold in Livermore as short sales in 2011, year-to-date. These properties sat on the market anywhere from 0-633 days on the market before closing. The sold price range was between $69,500-$1,100,000. Livermore is also known as Wine Country and still has that “country” feel in the East Bay. With rolling hills, windmill farms, Del Valle Regional Park and lake, Livermore is a great destination to call home. It also is home to some well known companies such as Lawrence Livermore National Laboratories. If you would like to learn more about Livermore real estate and Livermore short sale opportunities, please contact us! If you are a seller with a home that is underwater, we can help you get you avoid foreclosure and sell your home as a Livermore short sale! Next post: Pittsburg Short Sale Closed!